It's not a phenomenon that humans understand instinctively, but sometimes a female hamster will kill her own young. In fact, when she does, she often eats them, too. Ghastly as it may sound, though, her instincts could be guiding her action. She might be doing it for what she perceives as the good of the overall brood. Mother hamsters aren't afraid of making sacrifices for the good of the litter, so don't be too quick to judge her if she kills some of her young. Especially in first-time mothers, stress and fear associated with rearing babies can be too much to handle. If your hamster feels stressed by the demands of her litter, she could killing the babies. The best way to avoid this tragic circumstance is to give her and her litter plenty of alone time. Spending too much time around the cage, acting excited or taking photos can upset the mother to the point of killing her children. With the exception of checking on the litter a few times a day, leave them alone as much as possible for at least 10 days. 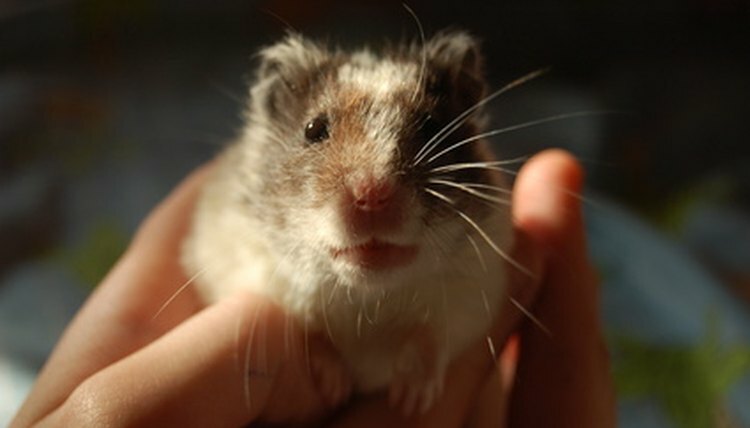 Baby hamsters are hairless and blind, and you may be tempted to reach in and pet or hold them. Doing so, however, puts their lives in danger. A mother's relation to her children is dictated largely -- almost exclusively -- by scent. If you touch the babies, you leave your scent on them. This can confuse the mother so she doesn't recognize the babies as her own, or she may consider them suddenly flawed. In either case, she may reject and kill them. Don't hold or even touch a baby hamster at all, lest his scent be compromised. Mother hamsters are instinctively compelled to make sacrificial decisions that will benefit the group, particularly where sustenance is concerned. It's crucial that your mother hamster and her litter have consistent and ample food and fresh water, because if the mother perceives that their supplies aren't enough to sustain the group, she'll start killing her brood. This is a mercy response instinctively ingrained in her so that her babies don't die of starvation or dehydration, Make sure she can always access enough food and water for the entire group. If a mother hamster doesn't think that she can provide enough care and attention for the entire litter, she's going to choose some of her children as sacrifices. Since she perceives herself as solely responsible for managing the entire litter, she may recognize that she can't manage a brood of a certain size. She will thin the herd until she has a more manageable litter for which she can provide better care. Is it Healthy to Have a Cat Litter Box in a Child's Bedroom?